The last post took off from the impending premiere of the movie Independence Day: Resurgence. I don’t want to put too much emphasis on this release; I’m no more than cautiously hopeful about whether it’ll be any good. But there’s more to be said about this kind of sequel. Even in the Star Wars saga, despite the world-shattering events of each movie, the situation tends to cycle back to the starting point. Episode IV: the rebels are on the run. Episode V: the rebels are on the run. Episode VI: the rebels are still on the run. Episode VII: we have a new set of rebels with a different empire to fight – but they’re still on the run. But it’s a different matter when the original story changes the world completely. A sequel to The War of the Worlds would have to be quite different from the original, because Earth could not lapse back into its pre-invasion ignorance of extraterrestrial life—nor ignore all that advanced alien technology lying around for the studying. Whatever humanity might do in response, it’s unlikely that history would have proceeded as it actually did. At least one sort-of-sequel to The War of the Worlds recognized this, with Earth’s nations uniting to build a space fleet for a counterattack. The marketing difficulty with a film sequel is that the second movie, coming from such a different starting point, may have to be quite different from the first. This disturbs Hollywood, which typically wants to capture the same audience by giving it more of the same. There’s a disturbing tendency to pull back from the implications and somehow paste the previous status quo back into place. For example, Ghostbusters 2 went to considerable trouble to achieve a just-barely-plausible reset in which the universally adored heroes of the original are now forgotten and reduced to underdogs again. So far, it looks as if the Independence Day sequel may be following Weber’s example. The tagline for the movie is: “We had twenty years to prepare. So did they.” It sounds as if the Earth that faces another invasion will have changed based on the first story. How much, we’ll have to see. Will we start out in a plausible future twenty years on from the end of the first movie? Time to find out! We love our alien invasions. Since The War of the Worlds (1897), poor Earth has suffered a steady stream of hostile arrivals—frequently from Mars, but recently from farther afield, as the possibility of other intelligent life in our solar system wanes. 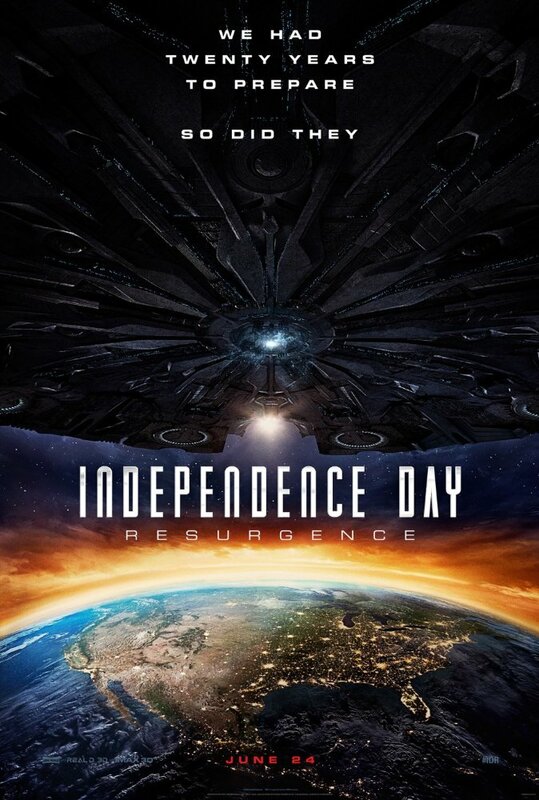 We have one coming up this month, with the June 24 movie premiere of Independence Day: Resurgence, a sequel to one of the more successful invasions of the last twenty years. It seems like a good time to look closely at our opponents. 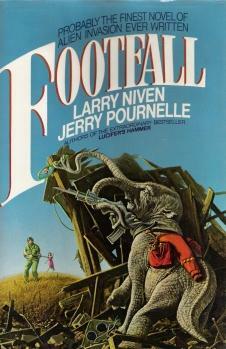 Footfall, a 1985 novel by Larry Niven & Jerry Pournelle (still available in print), is not only a great yarn, but a textbook model of how to write a modern invasion story. We can look at it as a test case, like an existence proof in mathematics: What kinds of conditions have to be fulfilled for a believable alien invasion, given what we now know about other planets? Let’s define the target. We’re talking about the good old classic invasion story, where the bad guys show up in person, make a direct assault, and we beat them. That isn’t the only possibility. There are other variants, such as infiltration, or scenarios where the Earthlings lose and end up a subject species. But let’s look at what premises make a triumphant Independence Day-style plot viable. But modern invaders have to come from a greater distance. Regrettably, none of the plausible abodes of life in the solar system have panned out. Gone are old-time SF’s sweltering jungles of Venus, the canal-crossed deserts of John Carter’s Mars. Until we’re ready for an attack by potential microbes from Europa, or hypothetical floating denizens of Jupiter’s atmosphere—neither of which, if they exist, have shown any signs of capability for interplanetary excursions—we have to look to interstellar sparring partners for a really good invasion. This intensifies a long-standing problem with invasion stories. If they got here, and across the interstellar gulfs at that, their technology must be literally light-years ahead of ours. How can we expect to beat critters with such vastly advanced technology? The balance of power is inherently skewed against us. Paired with this is the question of motivation. Why are they here? What do the invaders want that would drive them to come all the way to Earth for it? This is the easiest place for invasion stories that aren’t built on sound science to go astray. We need only mention the 1983 TV mini-series “V,” which, though it had many admirable aspects, fell sadly short on the science side. V gives not one, but two, implausible motives for the seemingly-benevolent Visitors. They’re here to steal Earth’s water—as if there weren’t vast amounts of ice scattered around our solar system, and probably most other systems, for the taking. And they’re here to eat us; apparently not only are humans compatible with a completely alien biology, but we’re a tastier treat than more edible and obtainable animals. Sensible extraterrestrials need a better reason to traipse across the light-years than a local hamburger shortage. Niven & Pournelle’s epic adventure handles both these questions so beautifully that it might have been plotted specifically to answer them. Our not-quite-friendly visitors, the fithp (the singular is fi’), arrive in a large interstellar vessel, which launches smaller ships to conduct the attack. Why are they here? They’re looking for Lebensraum — living space. The fithp have been exiled from their homeworld as the result of a conflict among factions—like the Protectors in Niven’s novel Protector. They need a new place to live. Among other things, this means “defeat is not an option”: they can’t go back. That ups the stakes. But this exile premise also solves some of the balance-of-power problems. The fithp’s resources are strictly limited. There won’t be any reinforcements. They can’t bring anything more from their homeworld. All we have to do is defeat this batch of opponents, and we win. Niven & Pournelle strengthen this limitation on the aliens, and incidentally increase scientific plausibility, by making their mother ship Message Bearer a slower-than-light vessel — a Bussard ramjet. Their journey takes decades. This distances the fithp even further from any potential homeworld support. 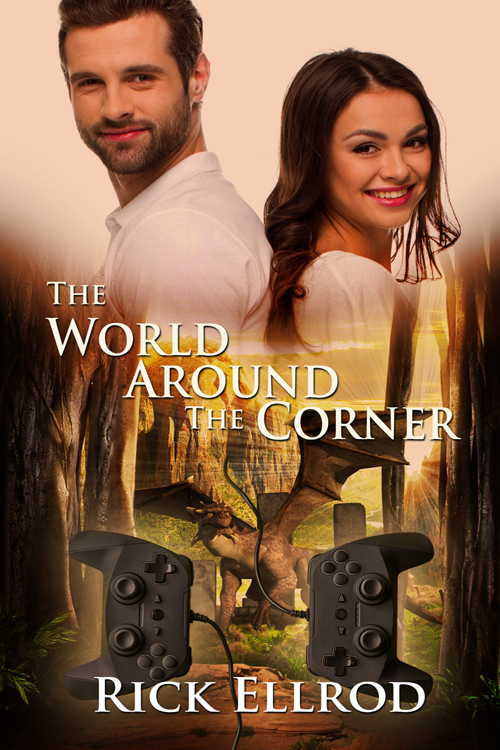 The authors also use it to introduce another twist: there’s dissension between the space-born fithp, on one hand, and those who lived on their homeworld and are now awakened from suspended animation, on the other. This division becomes important as the plot develops. Without having to account for faster-than-light travel, Niven & Pournelle can give the fithp technology that isn’t too far ahead of our own. Human numbers—and political, psychological, social characteristics—can make up for the technological imbalance. In the course of this worldbuilding, Niven & Pournelle give us fully fleshed-out aliens, with a coherent culture and society, understandable but different from our own — not an easy task. Among other things, the fithp are sympathetic characters. They are people, not just faceless attackers. We see events from their viewpoints as well as our own. This makes the story not only more believable, but more interesting. The original Independence Day scores modestly on these two plausibility counts. Motivation: The aliens travel the stars like locusts, stripping planets of their resources. No details are given, but the basic idea is not unreasonable, particularly in light of contemporary environmental concerns. Balance of power: We’re hopelessly behind in technology—but the aliens’ laziness (using our own satellites for signaling), Goldblum’s bright idea, and a captured alien ship get us (barely) over the hump of the willing suspension of disbelief. We’ll see shortly how these premises play out in the Independence Day sequel—applying the Niven & Pournelle standard.